Christmas is for celebrating and to feel the festive spirit of this amazing occasion. You may want to have something new inside your bedroom or even your child room. 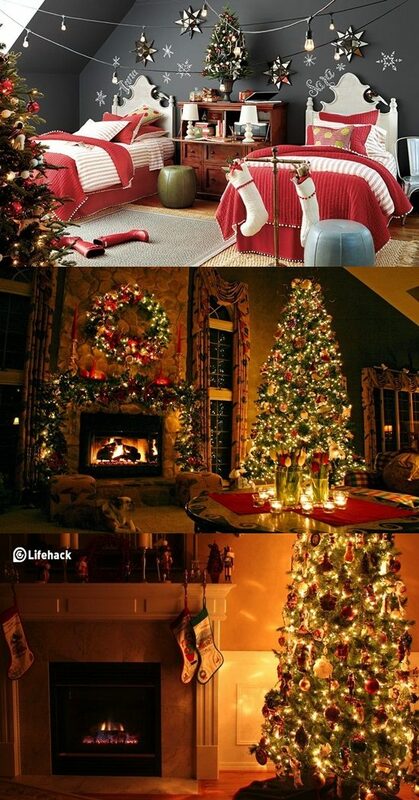 How to integrate the festive spirit of the Christmas in a bedroom! It can be so easy and funny by some few and creative decoration elements. Let’s begin the funny task to help you and your child to feel the joyful spirit of the Christmas. First, you can do this with a very simple element as Christmas stickers, pictures or wall decals. It is so easy to install inside your bedroom or your kid’s room. But keep in mind to select the ones that fit your both taste and match the room colors. Then, what about changing the bed linens! You can buy new ones that customize the Christmas celebration. You can find a variety of bed linen of the Christmas decorations; Santa, Christmas printed tree or Santa car and more. There are also different sizes and colors so you can get the one the fit your bedroom decoration and another one that fit your child bed and decor. The best thing that reflect the Christmas is the Christmas tree, so you can consider getting one for your bedroom or you kid’s room with its decorations but keep in mind if you get one for your kid’s room, the safety issue is a crucial matter. You have to be aware when buying the tree decorations to be safe for your kid and never cause any harm to him/her. You can try also a new curtain that has Christmas designs. You can find various curtain designs with a variety of materials. Thus, you can find the one that match your bedroom decor and the material you like and suit your budget either. At last, don’t forget for your bedroom or your kid room; don’t overwhelm the room by too many decorations. So you have to contrast all the items together and match them with the existence theme. With these few tips, you can get the joyful feel of the Christmas and a new look for any bedroom you install them in.